The specialty of the company lies in the option of Needham landscape design. With us, you don’t have to worry about the professional landscaping cost. We let you understand the value landscaping brings to the property. We take the initiative to start with the landscape remodeling project at Concord Tree & Landscaping. 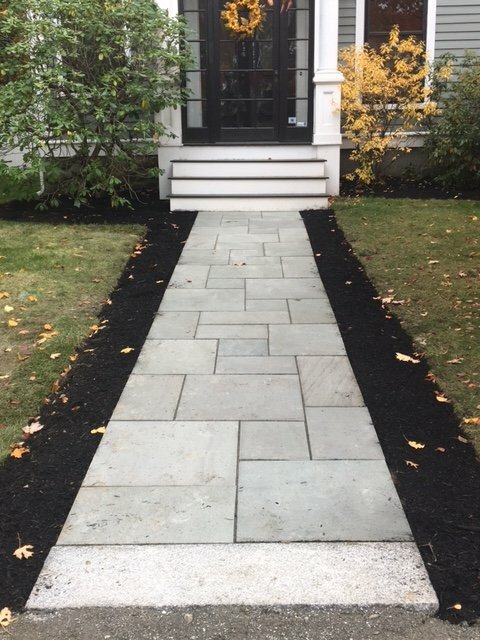 We specialize in the field of landscape design Needham MA and though in the beginning, you feel overwhelming in the long run designing the landscape seems to be lucrative. With the proper designing of the landscape, we make the property look fresh. Now you can make the most of the available yard space. At Concord Tree & Landscaping, we are professionals to invent perfect landscape design and this goes beyond creating the visual scenery. In fact, the designers have various things to do with the landscape. They turn the face of the landscape thereby making you feel relaxed and refreshed at the place. The designers we have will consider the already existing inhabitants in the area. We create the landscape in the manner for the proper protection of the greenery and the wildlife. We design the landscape setting with perfection to help you make the best use of the space for welcoming guests or arranging for the spontaneous party. We introduce the kind of Needham landscape design for the purpose of enhancing the quality of life. Now you can spend more time outdoors and unwind best after the busy and the hectic day. We try and design the space in the way of maintaining the equilibrium of the ambiance. Our designers always try to create the balance with the natural landscaping and the man-made designing factors like installation of the water features or use of the paving materials. It is our job in highlighting the natural essence of the place with the careful selection of the exterior fixtures. We believe in the excellence of landscape design Needham MA. Our designers have the aptitude to make the unused spaces absolutely functional. You may have a side yard which is not used for several years. The landscape designers at Concord give their best efforts in turning the face of the land. If you feel that your landscape should be turned functional you can call us to book the designer in time at Concord Tree & Landscaping.